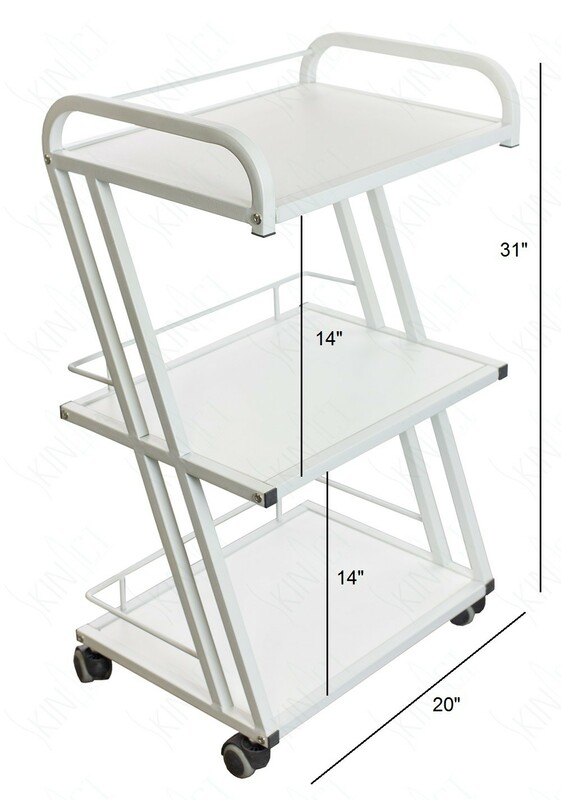 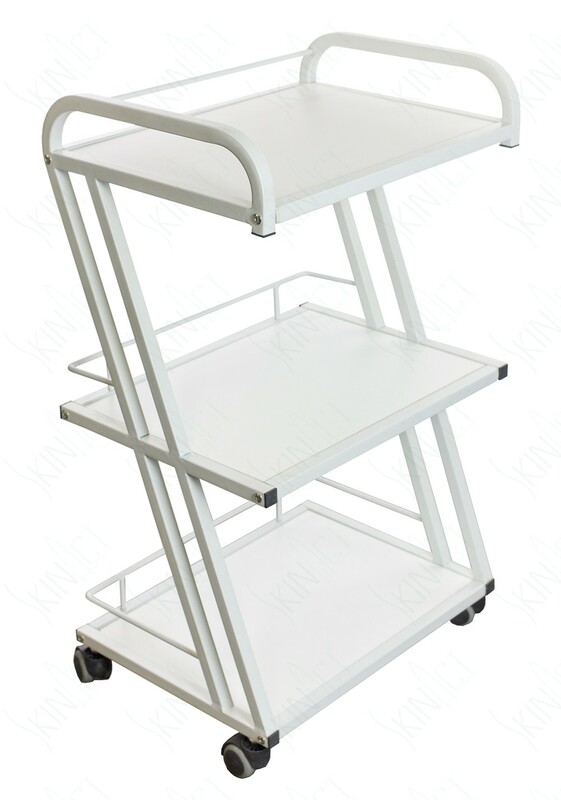 Slanted and very stable 3 Level Wooden Trolley which can stand up to 50Lb of weight per shelf. 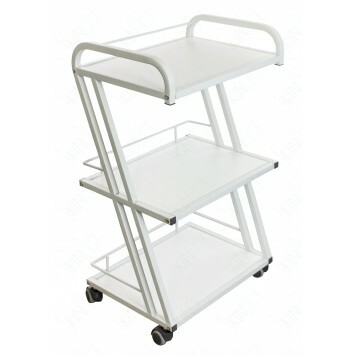 Each level has its own metal guard around the back side of the unit to prevent valuable products and instruments to fall of the end while being moved around your facility. 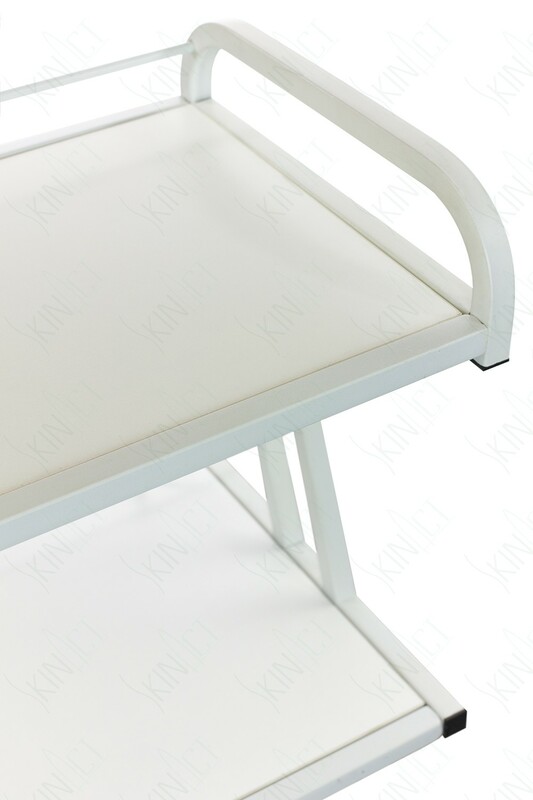 Ultra white frame finish and rollers.